Get "Spooned" and don't miss this hilarious interactive family program for all ages. 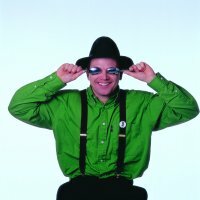 Jim is a musical comedian who plays the spoons. (You may also see him play forks and knives.) 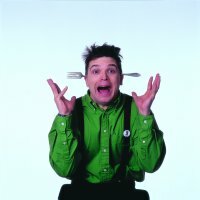 See him do outrageous impressions, become a heavy metal spoon player and a rap spoon player. Participate in an audience sing-a-long competition and perhaps his Mountain Band. 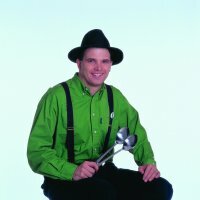 The “Spoon Man” will leave a lasting impression after playing on you (literally). It's a spoonful of family fun. A Remeika Music Series Program.